Being in the market for a new job can be put you in a tough position. The job search process can already be stressful and overwhelming enough but if you are currently unemployed or in a situation where you need a new job quickly, that only adds to the pressure. Unfortunately, there’s no magic formula that guarantees you’ll land a new job ASAP, but you can use a combination of the following tips and strategies to help you find a new job fast. When you need to find a job quickly, you have to almost make job searching your second job. Set aside lots of time to search for relevant and quality leads and submit complete applications. This is the part that is the most time consuming, but it’s important. You don’t want to waste all your time and energy applying to a ton of job openings. Only choose the ones that match your experience level and interests then make sure you follow the application instructions fully. Consider companies that are hiring for several positions and interviewing immediately to increase your chances of landing employment soon. This tip sounds a little old-fashioned, but it actually works. You can speed up your job search by posting your resume online so companies can actually reach out to you. Recruiters use popular job boards to scour for qualified candidates for their openings. My husband has been job searching this year and posted his resume on Indeed. Since then, he’s been receiving quite a few inquiries from companies and even went on a few interviews. The best part is that people are reaching out to him with legitimate opportunities that match his experience level. Be sure to update your resume before uploading it to create your profile. Be specific when describing your work experience and core objective. Use descriptive keywords and make sure to check grammar and spelling. The most specific you are about what you want, the better your results will be. The next thing you’ll want to do is ask your network for job leads. Be sure to tell friends and family members that you are in search of a job. If you have LinkedIn, post an announcement and mention what type of work you’re interested in. Also, reach out to people at church, your kids’ school, old colleagues, and friends on social media. Some positions aren’t openly advertised online which is why it’s important to ask your network because you never know who or what they might know. If someone can make an introduction for you, that could give you a leg up on the competition and get you in the door faster. This might not always be possible but in addition to applying online or simply dropping off your application materials, see if you can stop by the location in person to chat with the hiring manager. Some companies may not allow this, but if it’s possible, drop off a paper application or a cover letter and ask the manager a few questions about the position. My meeting the decision maker in person, you’ll leave a lasting impression and get a chance to show off your personality and persistence before an interview opportunity. Temp agencies can be a great option to help you find a job fast. They do all the hard work when it comes to searching for job leads and matching candidates with positions. When you submit your resume to a temp agency, you can land work anywhere from days to weeks. The job opportunities are usually temporary but some are temp to hire which means if you do well, you can get hired on as a permanent employee. Nevertheless, you can use the quick temp job to help you cover your basic needs while you continue your search for more long-term employment. Consider reaching out to 2 of more temp agencies to express your job needs at this time to increase your chances of finding quick employment. Finally, you might want to consider trying freelancing as a quick way to make money. If you have specific experience or service you can offer others, you can create your own job by working as a freelancer for various different clients in your niche. Freelancers are contract workers who don’t receive benefits like paid time off, retirement plan or healthcare plans. They are also responsible for paying taxes on their income. To find work, you can start by asking people you know who might be interested in your service. You can also start looking on job boards like Upwork, Freelancer, and PeoplePerHour. Freelancing is great because it allows you to run your own business on the side or full time since you can earn as little or as much as you want. 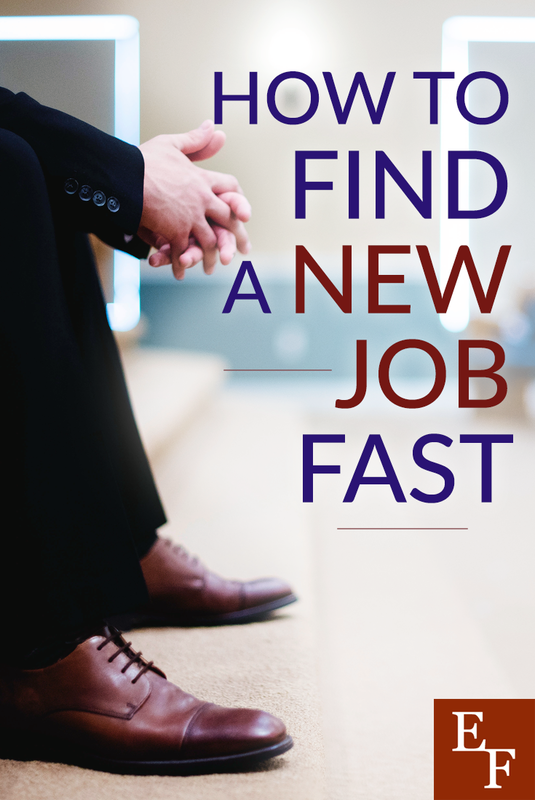 Finding a new job doesn’t have to take weeks or months. Using these strategies can help you find a new job fast! Have you ever used any of these options or strategies to land a new job quickly? Which option has been most effective for you?